Formulated to a high specification which will enable rapid DLWG, excellent lean muscle growth and healthy pigs. 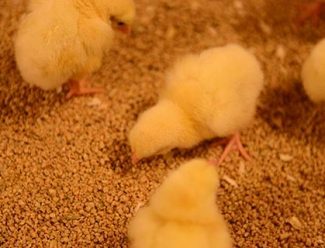 Comes in a highly palatable pellet form to help promote good feed intakes, typically feed from 6 weeks onwards. All diets manufacturer through our 100% organic mill are carefully made using quality raw materials which are fully assured. This means you can be confident that the product you are buying has a consistant high quality and full traceability to ensure the diets perform to your expectations. All of the agricultural raw materials in this ration have been grown to organic standards. Categories: Bagged Feeds, Pig Feed.